After much cold and snowy weather, Spring has sprung here at The Heath House! 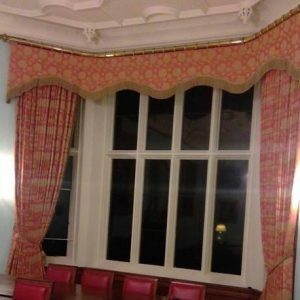 We are so excited that our Dining Room is finally finished, with beautiful new curtains. It’s been a real labour of love and now makes a stunning backdrop for intimate gatherings and celebrations. Next stop – the Billiard room which we started just this week. Spring is always a beautiful time here and it brings colour and inspiration to the house, grounds and weddings. 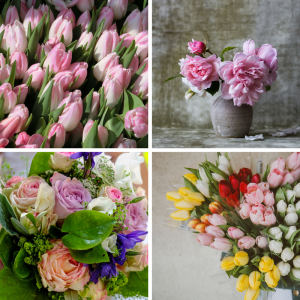 We thought we’d share some ideas and inspirations for flowers for your spring wedding or event…. Going British in Spring can produce a stunning style and elegance for a wedding or event with a real variety of colours and scents to choose from. If smell is your thing, then Hyacinths and scented Narcissi are obvious choices to create a heady atmosphere that you can compliment with early hedgerow cow parsleys and bluebells. For the sophisticated event or wedding and for something more architectural, consider Aliums in both whites and purples and Tulips in any colour under the sun. These can be pulled together into a single palette of colours or a rainbow riot. For a boho or feminine romantic style, an old English style is hard to beat. Stunning boughs of beautiful tree blossoms couples with billows of hedgerow frosting and early, pale green foliage can create a stunning effect, even on a limited budget. We are always inspired by the ideas our couples and guests bring to The Heath House and always look forward to the colours of spring to bring the house alive in the lighter evenings and warmer days. Check out our real wedding gallery on the website for more ideas and inspirations for your celebration with us. 2019 is booking up fast, so do get in touch if you are planning your special day for next year. Otherwise, we always save space in our diary for celebrations, christenings, parties and more so enquire today if you are inspired to celebrate in 2018. For those of you who know The Heath House, you will be aware of the array of rooms and spaces for you to use for your celebration. Our Dining Room has hosted intimate parties, formal dinners and fun Wedding breakfasts and now looks just the ticket with new curtains, fitted by a local firm, Country Interiors. Take a look at our rooms to give you some inspiration. Choosing your flowers for a wedding or event is such an important part of the planning and we have heaps of experience and ideas to help make the most of the house. Trails of foliage on the stairs, stunning pedestal arrangements to wow and 101 options for vases, seats, tables and more.